Click here for a map suitable for printing. The park consists of the Walney Visitor Center, Middlegate/Cabell's Mill Complex, Athletic Fields, Walney Pond, and Hiking Trails. The focus here is on the hiking trails. 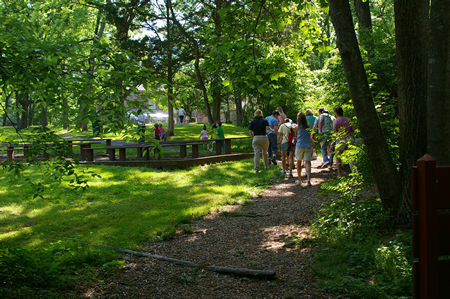 The hiking trails on the west side of Walney Road are primarily natural surface trails and are well shaded. Bicycles are only permitted on the Walney Road and Big Rocky Run Stream Valley Trails. I was impressed with the excellent condition of the trails and the maintenance people should be commended for their efforts. The Rocky Run Trail is primarily gravel or paved and was also in good condition. It is primarily sunny with some shady areas. 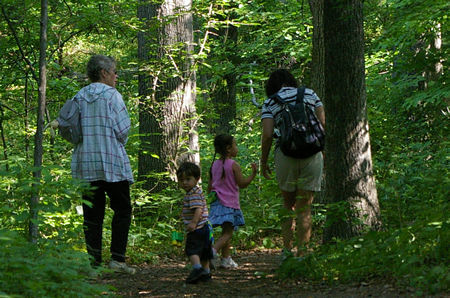 There are no difficult stream crossings and the trails are suitable for families with small children. The Rocky Run Stream Valley Trail starts at Cabells Mill but is in a different section on this site. Click here for a map of the walk route. 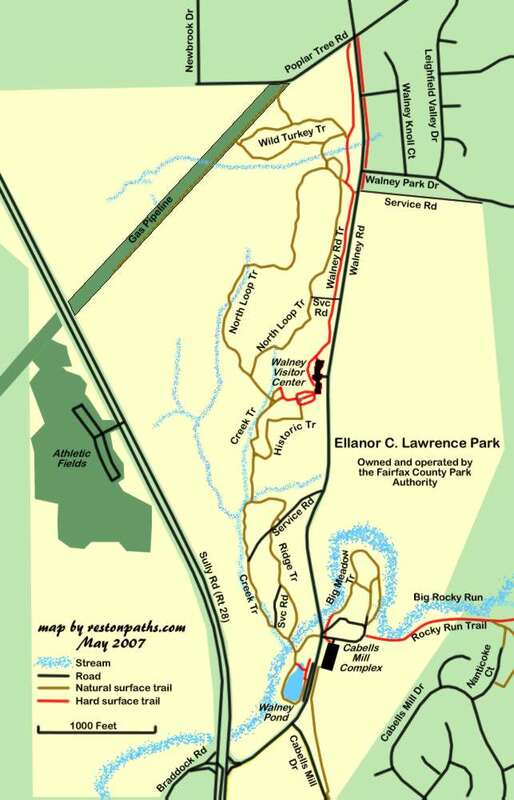 Click here for a suggested walk within Ellanor C. Lawrence Park.